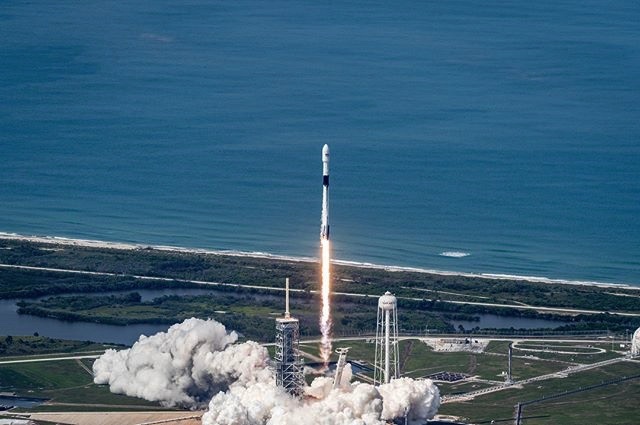 SpaceX debuted a more reusable, higher-thrust model of the Falcon 9 rocket Friday, hauling Bangladesh’s first communications satellite into orbit from Florida’s Space Coast. The successful launch propelled SpaceX closer to launching astronauts for NASA, which will fly on the same “Block 5” model of the Falcon 9 rocket that flew Friday. Musk said the enhanced launch vehicle will also be easier to reuse, moving toward the California-based space transport company’s ambitious mission of drastically cutting launch costs and building settlements on other worlds. The launcher’s window-rattling blastoff from Kennedy Space Center’s pad 39A, the historic complex once used by NASA’s Saturn 5 moon rocket and numerous space shuttle missions, occurred at 4:14 p.m. EDT (2014 GMT) Friday. 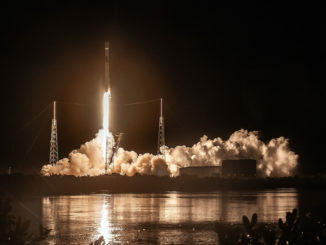 Turning toward the east, the 229-foot-tall (70-meter) Falcon 9 rocket arced over the Atlantic Ocean with the Bangabandhu 1 communications satellite, a French-built spacecraft destined to provide television and data relay services for the Bangladesh Telecommunication Regulatory Commission. A launch try Thursday ended at T-minus 1 minute after computers on-board the Falcon 9 detected an out-of-bounds parameter. No such glitches appeared during Friday’s countdown. In a feat once considered by many to be too daunting to attempt, the Falcon 9’s 15-story first stage booster made a pinpoint landing on SpaceX’s sea-going drone ship “Of Course I Still Love You” parked nearly 400 miles (630 kilometers) east of Cape Canaveral in the Atlantic Ocean. After dropping away from the rocket’s upper stage two-and-a-half minutes into the mission, the booster pulsed thrusters fed by pressurized nitrogen gas to flip around to fly tail first, then reignited a subset of its nine engines to steer toward the recovery barge and slow down for landing. Four titanium winglets extended from the top of the first stage to stabilize the cigar-shaped vehicle, and four landing legs unfurled at the bottom of the rocket just before touchdown. 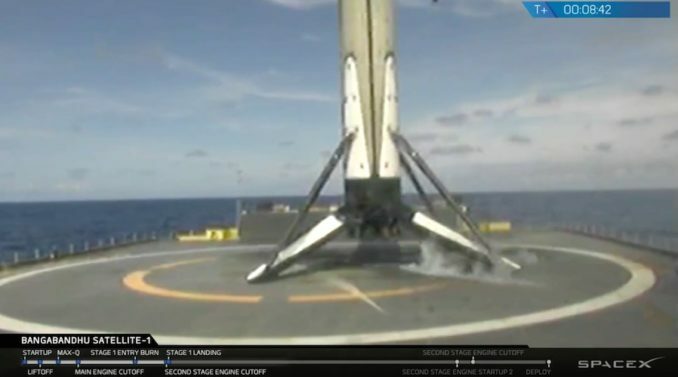 The on-target landing was the 25th time SpaceX has retrieved one of its Falcon rocket boosters intact after a space launch. Fourteen of the landings have come on one of the company’s drone ships at sea, and SpaceX has returned 11 rockets to land for inspections or reuse. Like all its launches, SpaceX’s chief objective on Friday’s mission was the deployment of the Bangabandhu 1 satellite in orbit. Two burns by the Falcon 9’s upper stage engine, a Merlin powerplant optimized for in-space maneuvers, guided the roughly 8,200-pound (nearl 3,750-kilogram) payload into an elliptical geostationary transfer orbit for separation around 33 minutes after liftoff. Named for Bangabandhu Sheikh Mujibur Rahman, the father of the Bangladeshi nation who was assassinated in 1975, the spacecraft will provide telecom, television and other data services to Bangladesh and neighboring regions during a 15-year mission. The satellite was built by Thales Alenia Space of Cannes, France, which also took charge of developing an operations center in Bangladesh, training Bangladeshi engineers, and arranging for the craft’s launch on a SpaceX Falcon 9 rocket. 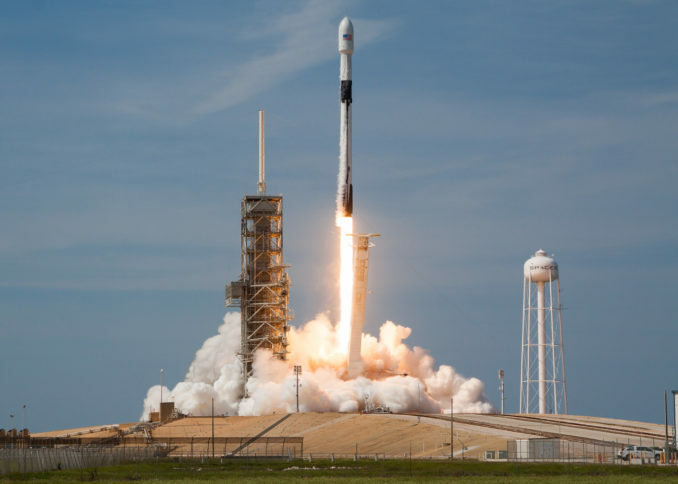 The guidance computer on-board the Falcon 9 aimed to release Bangabandhu 1 into an orbit ranging between 186 miles (300 kilometers) and 22,186 miles (35,706 kilometers) in altitude, tilted at an inclination of 19.3 degrees to the equator, according to Gilles Obadia, Thales’ program manager for the mission. 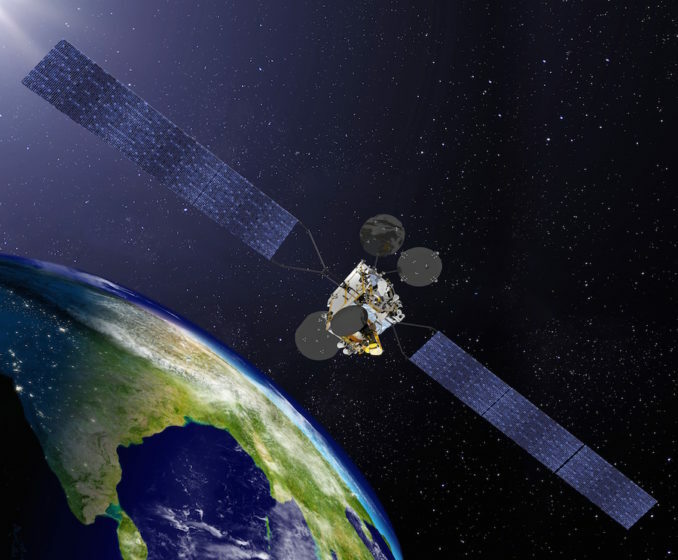 An official from Thales Alenia Space said after Friday’s launch that ground controllers in Cannes established contact with the Bangabandhu 1 satellite in orbit. Bangabandhu 1’s on-board engine will circularize its orbit at geostationary altitude within the first 11 days of the mission, Obadia said, to begin several weeks of in-orbit testing before Thales hands over control of the spacecraft to its Bangladeshi end user. The satellite will be parked in geostationary orbit more than 22,000 miles over the equator, locking its velocity to match Earth’s rotation at a position at 119.1 degrees east longitude. Bangabandhu 1 carries 26 Ku-band and 14 C-band transponders. Once the Falcon 9’s first stage returns to Port Canaveral in a few days, engineers will inspect and disassemble parts of the Block 5 booster to study how it performed. Eventually, the upgrades debuting on the Falcon 9 Block 5 will allow the first stage booster to be reused 10 times without refurbishment, Musk said. 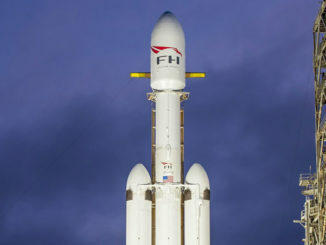 Boosters based on the upgraded Block 5 model, which Musk said is actually “Version 6” of the Falcon 9 rocket, could fly hundreds of times, delivering satellites, cargo ships and astronauts to space, the billionaire entrepreneur told reporters Thursday before the mission’s first launch attempt. It will ultimately be replaced by the Big Falcon Rocket, an enormous rocket SpaceX is developing that the company says will generate more power than any launch vehicle in history. The BFR is expected to begin flying space missions in the 2020s. Musk said the most important changes to the Block 5 address NASA human-rating requirements, ahead of the planned launches of astronauts to the International Space Station on Falcon 9 rockets beginning late this year or some time in 2019. For crewed missions, the structural components of a rocket must withstand higher stress than parts used on a typical satellite launcher. The Falcon 9 Block 5’s avionics are also multi-fault tolerant, meaning the rocket can still reach orbit after multiple system failures. The rocket’s modifications also provide an uptick in performance. There’s an 8 percent increase in sea level thrust from the Falcon 9’s nine Merlin first stage engines, up to around 190,000 pounds of thrust each, Musk said. The upper stage’s single vacuum-rated Merlin engine on Block 5 can generate 220,000 pounds of thrust, but was to be throttled back to 210,000 force-pounds on Friday’s mission. Musk also addressed changes to the outer coating of the rocket, aimed at better shielding the first stage from extreme re-entry temperatures. “We also have a lot of new thermal protection technology,” Musk said. “If you look, aesthetically, there’s the black interstage. 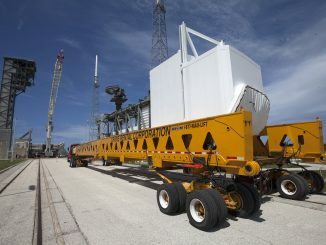 That is the structure that joins the upper and lower stage, as well as the raceways, the landing legs, they all use a new thermal protection material developed at SpaceX, which is highly reusable and does not require paint. It’s hydrophobic. It does not trap water. This was quite a challenging thing to do. The octaweb, a structure which contains the first stage’s nine engines at the base of the rocket, is also made of a higher-strength aluminum. It’s bolted on the base of the Falcon 9 Block 5, while it was welded to the booster on previous versions of SpaceX’s workhorse vehicle. The first stage’s four landing legs also sport changes. The locking mechanism that kept the legs deployed during the booster’s final descent and post-flight processing has been removed. The landing gear now has an internal locking system, Musk said. The heat shield attached to the bottom of the rocket near the booster’s engine section has also been beefed up. He said data crunched from past Falcon 9 flights indicated that some parts of the base of the launcher exposed to super-hot temperatures during the rocket’s hypersonic re-entry needed better protection. Other improvements that will fly regularly on the Falcon 9 Block 5 have already been demonstrated during past Falcon 9 missions. Those include a new-generation payload fairing, which covers satellite payloads during launch, to make the shroud recoverable and reusable. Titanium grid fins, which likewise have already made their debut on previous Falcon 9 missions, will fly on every Block 5 launch, replacing aluminum steering winglets used on descent that were susceptible to heat damage. Both changes were meant to make the Falcon 9 compliant with NASA human-rating safety standards. SpaceX has a $2.6 billion contract with NASA to complete development of Crew Dragon, a capsule to ferry astronauts to and from the International Space Station. NASA awarded Boeing a similar deal, giving the agency two U.S. crew transport providers and ending U.S. reliance on Russian Soyuz vehicles for the job. The first unpiloted test flight of the Crew Dragon is scheduled as soon as late August, but the demo mission could be delayed. A two-person Crew Dragon test flight to the space station could follow by the end of the year, but top NASA managers have said they expect SpaceX and Boeing crewed demonstrations to launch in 2019. NASA will require seven successful flights of the Falcon 9 Block 5 before flying astronauts on the rocket. Friday’s launch was SpaceX’s ninth mission so far this year. By this time in 2017, SpaceX had achieved five launches of the 18 flights the company logged by the end of the year. “We’re on track to double our launch rate from last year, which was a record launch rate for us,” Musk said.